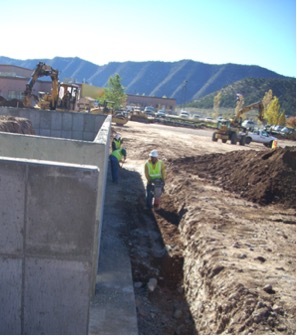 This project included 60,000 cubic yards of excavation/embankment, foundation excavation and backfill, installing utilities, and a storm drainage system for the building and parking lots. Gould Construction used a portable crusher to make the onsite excavated material meet the embankment specifications, saving the school district money and construction time. 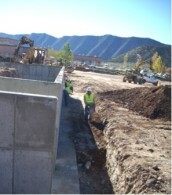 The topsoil on site was screened and used in landscaping areas as well on the football field.